Vinistra, the 19th international exhibition of wine and winemaking equipment will be held in Poreč from 11 to 13 May 2012. Every year Istrian vines attract several thousands eno-gastro lovers and enthusiasts to Vinistra which has proved itself as one of the most distinguished wine events in Croatia and the region. Though wine tasting for professionals is closed to the public, educational lectures on winemaking and wine tourism, presentations of products which promote Istria's tastes and smells and premier wine tastings will surely satisfy the most refined palates. Moreover, the real adventurists will get a chance to experience organized wine tasting in an uncontrolled environment as well as a sommelier course. Although wine plays the central role, the main program and additional features of Vinistra will take you to Rovinj and Savudrija where your wine tasting experience will surely be enriched. 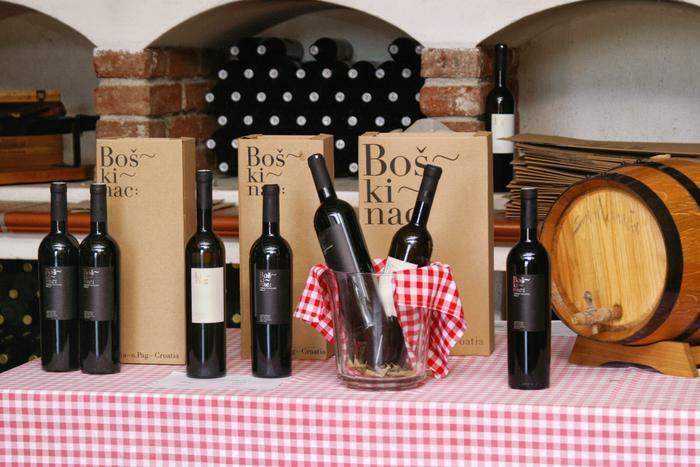 Among others, Istrian wines from the area Buje, will be exhibited as well, and if you're traveling in your own arrangements try not to miss the wine roads of Istria and visit Motovun, the ''birthplace'' of famous Istrian Malvazija as well as its realm Grožnjan, a small city on a hill completely covered with steeping vineyards. In case you can't attend Vinistra, be sure to put down main Istrian wine points into your holiday planer as a reminder where you should spend this summer. Central Istria encompasses holiday relaxation and and enological experience, whereas the authentic atmosphere of Green and Blue Istria will surmount all your expectations.